James Green discusses personal history, first impressions of CWU, student attitudes, influential faculty members, political problems on campus, town/gown relationships, CWU's counseling program, proud moments for CWU, and final thoughts. 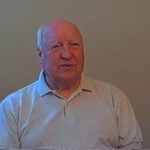 Green, James, "James Green Video Interview" (2006). CWU Retirement Association Interviews. 205.